DIAGNOSTIC FEATURES: Overall yellow-green color; open matlike appearance; podetia usually stiff and brittle; tip branches divergent; shiny surface; inner medullary layer smooth, dotted with white “pruinia”; compare with C. caroliniana which is very stout and has a dull surface and inner medullary layer of closely woven strands. 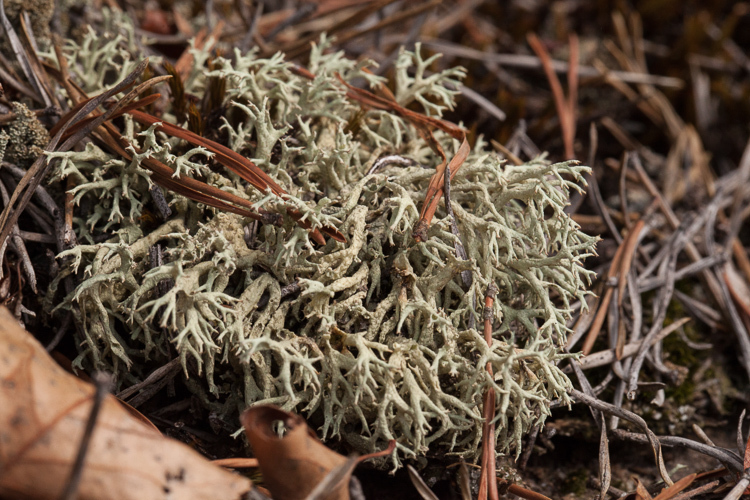 Other Ohio mat-forming Cladonia spp. are either ecorticate, or not yellow-green. 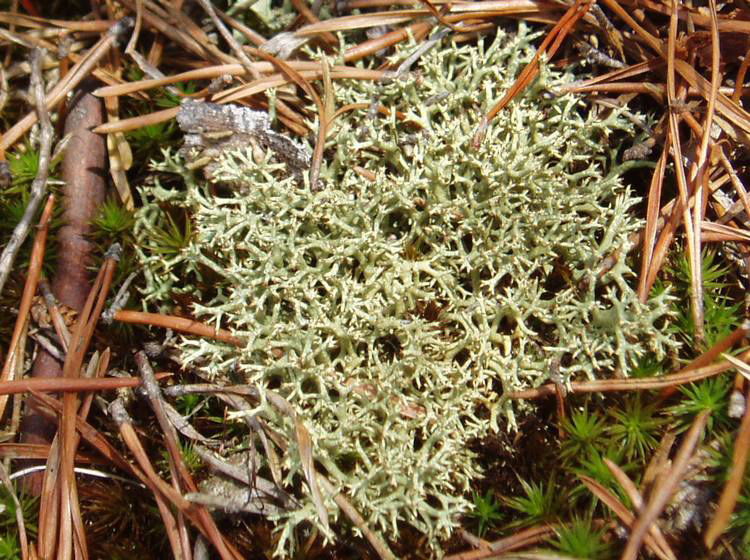 ECOLOGY: An eastern US spcies; scattered in southern Ohio counties on soil almost exclusively, often among moss, frequently found in the “lichen-ericad” association at the rim of sandstone cliffs.